This time you get to be the bad guy! Hey! Things are really cookin' on Kitchen Island! 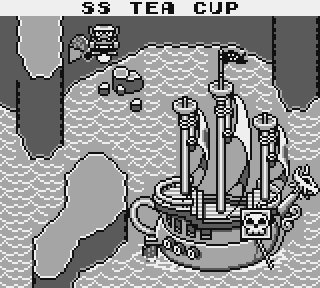 Wario's got a scheme to steal the pirate's treasure so he can have his very own castle! 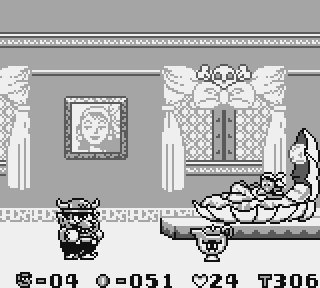 You help Wario get the treasure by smashing into the magic pots! 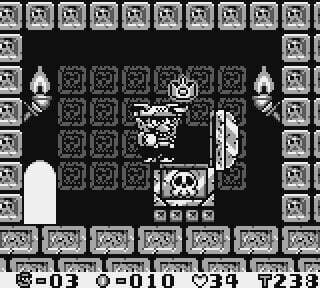 Each pot changes him into Dragon Wario, Bull Wario, or Jet Wario! With each change comes new powers! 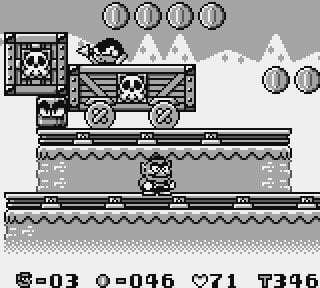 Dozens of enemies try to stop Wario, but you have the power to beat them! Explore the many exciting levels of Kitchen Island! 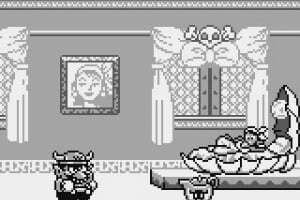 Can you help Wario steal enough money to buy his very own castle? 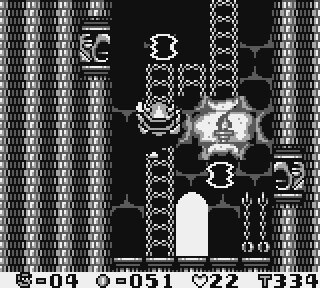 My favorite Jump'n'Run on the GameBoy and probably one of my favorite Jump'n'Runs alltogether, though I don't play much Jump'n'Runs to be honest. 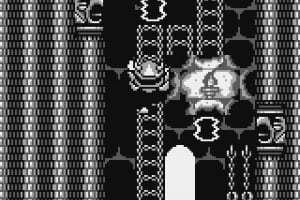 But the visuals and sounds were very good for GameBoy standards. 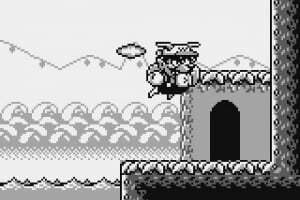 I also liked the changing level design and the hunt for hidden treasures. Agreed -- this game was exponentially better in every possible way than the SML games that preceded it. I'd love to see it on a DSi VC if that ever comes to fruition. 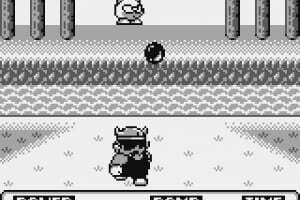 This game made me play it on every Gameboy I had. I just finished it today...I never beat it back in the day when i was a kid, but now i can finally say that I have And I agree with you wariowoods, it beats the crap out of both of the SML games. 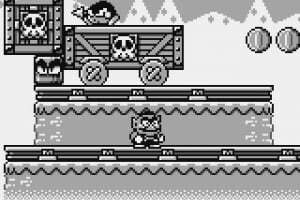 The controls, gameplay, level design, graphics, power ups, Music and SFX were all top notch. i had a blast with it and it was pretty damn addicting, I got all of the treasures and ended up with the best Castle hehe. Overall I'd nail it with an 9/10. 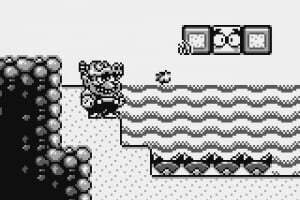 Wario land Shake it! 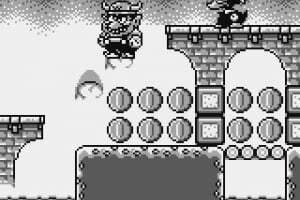 imo is the most amazing Wario game available. But i still need to get my Hands on WL4. 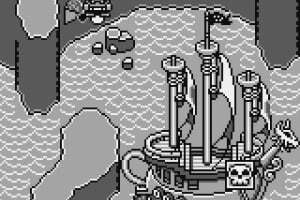 And personally I found Super Mario Land 2 to be a dissapointment after playing the first. 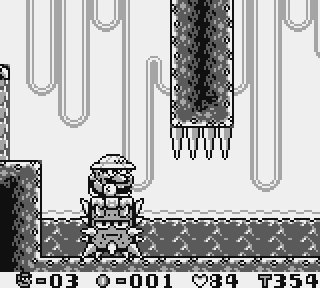 The level design was just bland and poorly thaught out for the most part, and the enemies were just so random and for some reason odd. 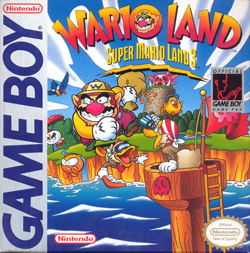 The boss battles were mediocre, the music was decent(but so not mario) and i just didn't feel compelled to finish it(yet i did) it's alright I guess, but i had more fun with the first Mario Land and it offered more of a challenge. 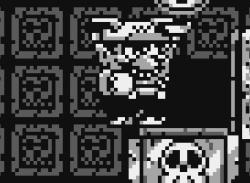 But yep, Wario Land smokes both of them. Instant download when this one comes out. It looks like they've gotten through a lot of the good Game Boy games now. 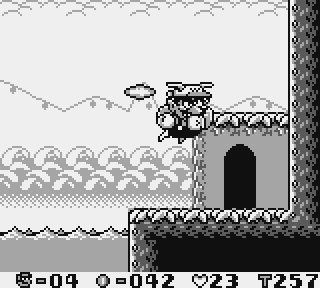 I've never played this first Wario Land!! But it's a good news that will be coming soon on 3DS VC!! You are missing out if you have never played this game.As for me i have played it before and will play it again later. Definetely getting this, want to see Warioland 2 and 3 as well. 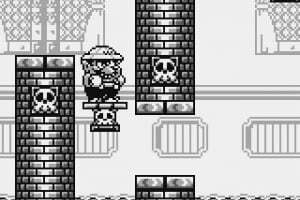 It's a maybe, but I'm hoping for Wario Land II. I might want a color game instead. Cant wait for this!!! 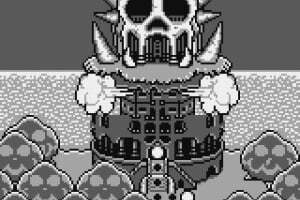 I loved it on my Gameboy!!! 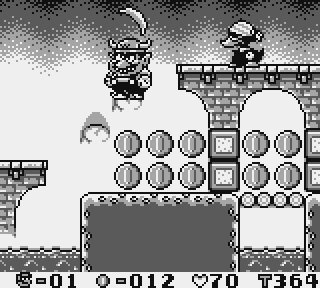 I personally have never played this one - the first game I played with Wario as the lead character was Warioland II, and I love it. So I would definitely check this out, but I wish it weren't grayscale. 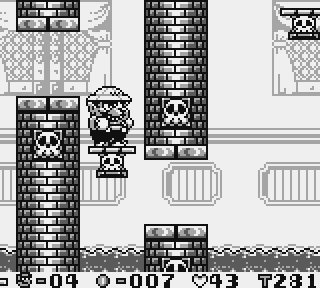 This is the first game I ever owned for my Gameboy. So happy I'm gonna get a chance to play it again! WHY YOU APPEAR IN AMERICA LAST!? Because it's coming to America soon. I love this game. It was one of the very first games I bought by myself, and I still have it lying around somewhere around here. Cleared it, once more, this summer! An awesome, but very short, game! Everyone who haven't played it should buy it for the 3DS, you won't regret it. So when is this coming to NA? Its nearly been 2 months! Because they don't need money right now. Seeing how this was in the April Issue of Nintendo Power, I can at least hope it's coming out sometime this month. Seeing how Europe is catching up on 3DSWare, we should be catching up on 3DS VC. I'm excited for this; 2 Q's: 1. Is it in 3d? I'm asking beacuse I'm pretty sure the Japanese version is. 2. When can we grab it here in North America? @Micherphone11 No. 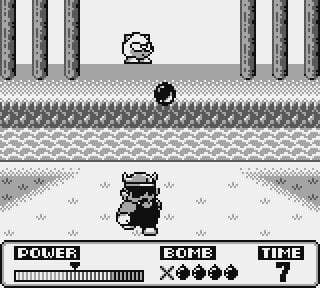 It's virtual console, and an American release date has not been announced. 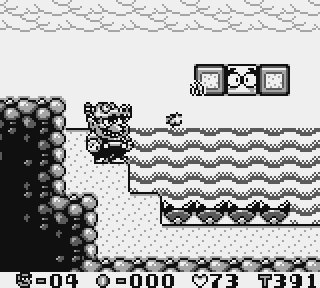 Well Wario Land is coming to the USA 3DS VC on July 26th so i am saving my eShop points until it comes out. 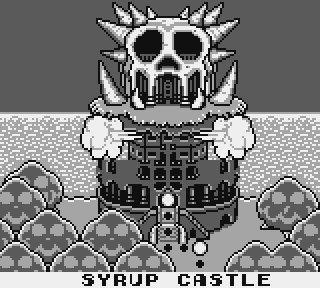 As for Wario Land 2 it can come out since it had a gb and gbc version. 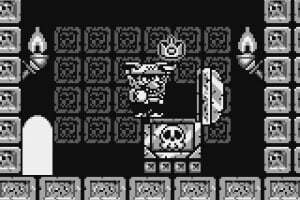 But Wario Land 3 is still a question unless a GBC game or 2 already that is. This is the best game in the mario series. SImply amazing. Got this on eshop this year. I love being bad. I was on the 2nd to last level, when the battery back-up stopped working. 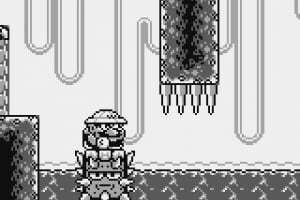 Poll Which Is The Best Super Mario Platformer?